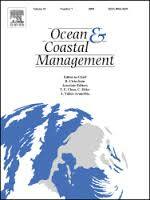 Aquí teniu el resum de l’article: The main objective of this paper is to determine if a collaborative network governance structure in the management of sport practice in coastal areas generates better effects on the degree of sustainability of its territorial development. This paper shows the results of the analysis of the existing governance in the managing processes of 4 conflict situations generated by sport practice in 2 coastal protected areas, and the effects on the dimensions of its development in each case. The information was collected through in-depth qualitative interviews with key stakeholders. Qualitative data was quantified by the definition of indexes of indicators to allow the comparison between cases. Results show that there exists a close relationship between the index of collaborative network and that of sustainability; that means that the greater is the degree of networking and the development of collaboration processes between stakeholders, the higher is the degree of sustainability of the development generated by the strategy of solution adopted in each of the coastal areas.